A 90s anime/cartoons/ with a main character who has a red mecha suit with a weapon like a spear! I am searching for an animation with 2 partners. They travel around the world, and they have robots suits. I remember the suits have some neuronal connections with the pilots. The main character has a red robot suit with a spear or some kind of weapon that can penetrate anything. It's an old show. I know that I saw it when I was a really young man (around 2001-2002). I've seen a lot of anime with mecha, and yet I didn't find this animation. It's not any of the Gundam series. As noted in my response to two of the answers below, it's also not Neon Genesis Evangelion or Tekkaman. Could this possibly have been Neon Genesis Evangelion? I remember the suits have some neuronal connections with the pilots. Assuming you mean "neural", the pilots in Evangelion do indeed have mental connections to their mecha. The main character has a red robot suit with a spear or some kind of weapon that can penetrate anything. She's not the main character, but Asuka Langley pilots a red mecha (EVA-02). The protagonists' three mecha all have weapons called Progressive Knives that can cut through almost anything. 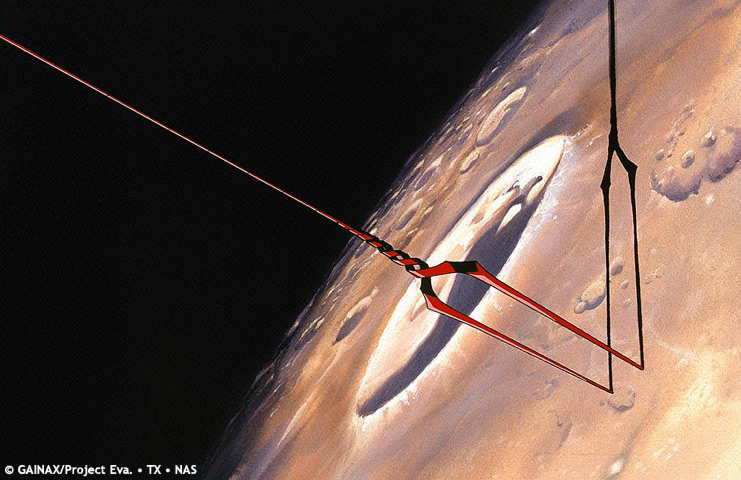 Later in the series, an actual spear called the Spear of Longinus shows up, which has the power to penetrate the "AT Fields" generated by the series' main villains, the Angels. 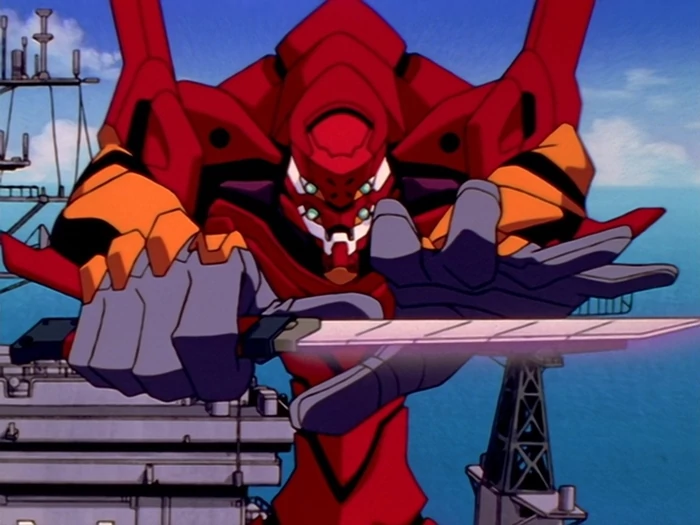 Evangelion was made in the 90s, so it fits your time frame. What doesn't fit is that there are three mecha pilots, not two. I must confess I haven't actually watched it myself, so I don't know whether the "travel around the world" part matches. 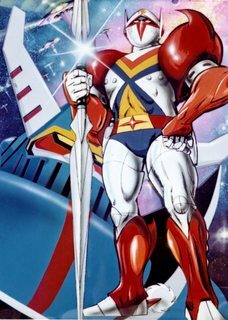 This could be "Tekkaman: The Space Knight" / "Uchū no Kishi Tekkaman" (the English wikipedia page does not have a lot of details, the Italian and Spanish ones are quite richer). Not the answer you're looking for? Browse other questions tagged story-identification robots anime mecha or ask your own question. Was the “Giant Mecha” genre driven by its affordability? Which was the first story to feature a human manned mecha “robot”?